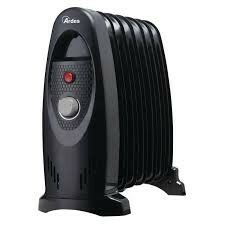 Small oil radiator with 7 heating elements. Thermostat for room temperature regulation. For rooms up to 20 m³.